How Should I light My Art? If you made the decision to light your art work there are several alternatives you can consider: recessed lighting, track lighting, mono point lighting, and picture lights. 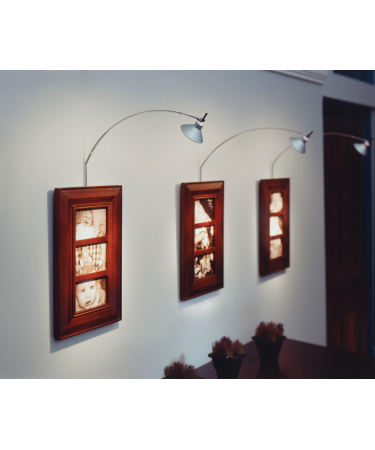 Picture lights are probably the easiest way if your home is already built and wired. The photo on the left shows some modern picture lights. This type of light can be of either the hardwired or plug-in variety. The plug-in ones usually plug into a “clock box” behind the painting. A “clock box” is a recessed outlet so the plug does not protrude out from the wall. Sometimes the plug is further down the wall so the cord is exposed. The photo on the right shows a picture that is lit by a directional recessed light. I like this type of lighting for art because it it unobtrusive and yet does a really good job. You can also add filters to the light to filter out UV rays or to change the shape of the light beam. 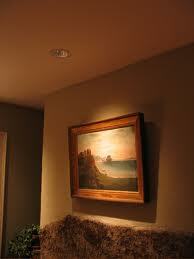 Another good way to light art is with a wall or ceiling rail or track system. I like the look of a wall rail system and it is really useful if you have a wall that has multiple paintings. It has a similar look as modern picture lights. I say “go for it”. Light your art and you will love what that does for your house. It adds a new dimension. Please visit my website, FoggLighting.com and call or email with any questions or comments. How Much Will it Cost to Light My House? Everything seems so expensive and overwhelming when you are building a new house or remodeling your current house. It is natural to worry about the cost of your lighting. Contractors almost always include a lighting budget in their contract, and they almost always have an unrealistically low figure for the lighting budget. What the Heck is This?!!!!! 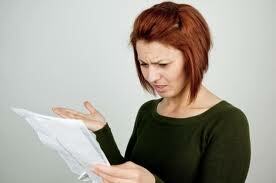 Therefore it is not unusual for the homeowner to be confused when they start shopping for lights. I have people come into my showroom and tell me they have a a $500 lighting budget in their contract…and they are building a $350,000 house! $500 is less that 2/10’s of 1% of the cost of the house! We can give you a lighting package for close to $500, but you will not be happy. A realistic budget is from .75% to 5.5% of the total cost of the home. .75% is going to get you a comfortable package and 5.5% is going to get you a top of the line package. We deal with all different size projects and the lighting budget is almost always too low. When you are considering your lighting budget I urge you to think about how important light is. It enables you to inhabit your space. Without proper lighting your furniture, fixtures, tile and walls will look flat and dull. Our goal is find lighting that will satisfy every budget and every homeowner, and that will make your house look great and make you feel special. Please visit our website, FoggLighting.com and call us at 207-797-7568 if you need pricing or further information on consultations. Should I Light My Art? That is a question I am asked frequently. I think art looks good when it is lighted, but it is a personal decision. Art in galleries and museums is always lit. Galleries are trying to sell it and museums are showing it to a large public audience. I have been in houses where every picture in the house is lit. I think that is way too much lighted art, even if it is good art. I would rather see a few of the best pieces lighted because they then stand out from the crowd. I have also been in houses full of beautiful art where none of it is lighted. 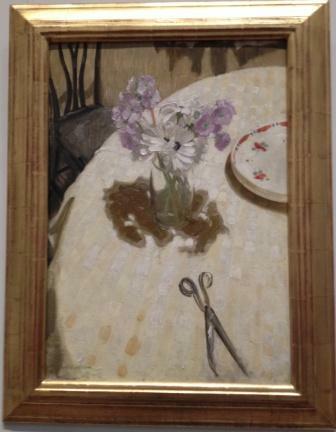 The owner contends that the artist painted the picture in natural light so it should be viewed in natural light. To light or not to light is a personal decision. The short answer is there is no right or wrong. However lighting art is a way to add a layer of accent light to a room as well as to highlight a painting. In this regard I am in favor of accent lighting. People who have dark rooms would benefit from adding accent lighting here and there. Please take time to visit my website, FoggLighting.com, and please call or email sfogg@fogglighting.com if you have any requests or comments. I buy some stuff online because I really don’t like to shop. 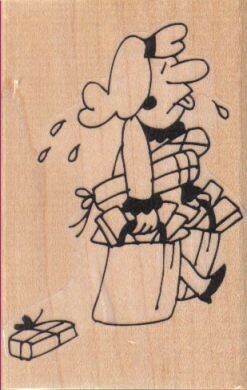 I know what I want and if I can’t find it locally I will look for it online. Many people are like me. Then there are many people who like to shop. They will go online for hours looking for good deals on whatever they want to buy even if they can get it down the street for almost the same price. I applaud their passion. If you have ever shopped online for lighting you might have noticed that most lighting websites look about the same and offer pretty much the same products at pretty much the same prices. Why? Well, except for some very large lighting showrooms and chains who maintain their own online stores, there are only a couple of companies that run e-commerce sites for the retail lighting industry. The reason for this is that there are hundreds of manufacturers that each make thousands of products and a computer link to each manufacturer is necessary to keep prices and sku’s updated. The manufacturers do not have time or resources to link to each showroom so they have linked to just a couple of computer service companies and those companies run all the lighting websites. So except for some custom storefront designs, all the products, search logarithms, drop-downs and prices are the same on all the e-commerce sites. Prices are the same because most of the major manufacturers have an MAPP, Minimum Advertised Price Policy, and their products can not be advertised for sale at a lower price then the minimum. If you are shopping for a product from one of these manufacturers you will not find it lower than their MAPP. Save your time and buy it from a local showroom who should sell it at the same price and who will stand behind the sale. Products from manufacturers who do not have MAPP policies can be, and are, advertised and sold at whatever price a retailer wants to charge. Some online lighting stores will lead with these discounted prices, but their prices for the MAPP manufacturers will be the same as everybody else. I guess the advice I want to give is to know what you want before you go shopping. Otherwise you can waste a lot of time. Speaking for myself as a retail lighting showroom owner, if you find a lower price online for the same product you saw at my store I will meet the lower price. I feel that if I do the work to help you find what you want you owe me this favor. I have to be honest about this. Underwriters Laboratory has a great app called “LightSmart” that you can download at the App Store. It is fun and informative. Also please visit my website at FoggLighting.com to see more about us. I do not maintain a typical lighting e-commerce site. There are just a few items available to purchase online, but all my vendors’ websites are available to view. Please email or call for pricing and availability of items that interest you. Also please email any questions or suggestions to me at sfogg@fogglighting.com. Times Square at Night. What a Light Show! I thought I was at the beach rather than in Times Square at midnight! All the lights in Times Square must be LED’s or else it makes no economic sense. It was as bright as an overcast day in Maine. Can you imagine how many light bulbs there are in this sign! And there are dozens of massive, lighted signs all over the place. That’s my take away from an evening in the Big Apple. Be sure to visit Fogglighting.com for all your lighting needs. “By 2020, you’re not going to be able to buy a light source other than an LED. You’re on a learning curve of cost reduction, quality improvement and efficacy improvement. Today, 2013, is the first year you’re going to be able to buy an exact clone of a regular 60-watt incandescent bulb at a reasonable price point—meaning a one-year payback to consumers. This year it’s a $10 product. We’re looking at it being a $5 product within 24 months, $2.50 within 48 months. So, by the time you get to 2020, it would be the equivalent cost to today’s regular light bulb, last 25 years and use 85% less energy. Interesting stuff! The fact is that you can buy an LED light bulb today that you can control from you PC, smart phone or tablet. It is expensive, but it is available. So it is only a reasonable extension that within the near future you can place these “solid state lighting devices” anywhere and monitor them or have them monitor you. I hope the politicians don’t find out about this!! Questions about lighting? Ask me. If I do not know the answer I will get an answer for you. Be sure to visit FoggLighting.com for lighting products. Light Through the Artist’s Eye. When we look at great paintings or photographs executed by talented artists we are looking at interpretations of light, dark and shadow. Light is crucially important to artists because it sets the tone of the painting or photograph. In painting or photography the quantity of light is referred to as value without which we could not see a painting (or anything else for that matter). Three important properties of light to an artist are: 1.) Where the light source is, 2.) Does it lend texture and 3.) Does it give the subject volume. So when you are deciding how to light your home or office think like an artist. How much light do you need, where should it come from and what kind of texture to you want your home to have. Your house is your palette. Use proper brush strokes and you will see and appreciate the results. I try to think like an artist when I design lighting plans for my clients and customers. Please visit my website FoggLighting.com to see how we can help you. Be sure to download the Underwriters Laboratory app, LightSmart, from the app store for lots of useful lighting information. I think the following article that appeared yesterday in The New York Times is great reading for everybody, not just lighting professionals. People sometimes have trouble making small sacrifices now that will reward them handsomely later. How often do we ignore the advice to make a few diet and exercise changes to live a longer, healthier life? Or to put some money aside to grow into a nest egg? Intellectually, we get it — but instant gratification is a powerful force. You don’t have to be one of those self-defeating rubes. Start buying LED light bulbs. You’ve probably seen LED flashlights, the LED “flash” on phone cameras and LED indicator lights on electronics. But LED bulbs, for use in the lamps and light sockets of your home, have been slow to arrive, mainly because of their high price: their electronics and heat-management features have made them much, much more expensive than other kinds of bulbs. compact fluorescents, or CFLs, that the world spent several years telling us to buy. But wait, there’s more: LED bulbs also turn on to full brightness instantly. They’re dimmable. The light color is wonderful; you can choose whiter or warmer bulbs. They’re rugged, too. It’s hard to break an LED bulb, but if the worst should come to pass, a special coating prevents flying shards. Well, guess what? We’re there. LED bulbs now cost less than $10. Nor is that the only recent LED breakthrough. The light from an LED bulb doesn’t have to be white. Several companies make bulbs that can be any color you want. I tried out a whole Times Square’s worth of LED bulbs and kits from six manufacturers. May these capsule reviews shed some light on the latest in home illumination. 3M ADVANCED LED BULBS On most LED bulbs, heat-dissipating fins adorn the stem. (The glass of an LED bulb never gets hot, but the circuitry does. And the cooler the bulb, the better its efficiency.) As a result, light shines out only from the top of the bulb. But the 3M bulbs’ fins are low enough that you get lovely, omnidirectional light. These are weird-looking, though, with a strange reflective material in the glass and odd slots on top. You won’t care about aesthetics if the bulb is hidden in a lamp, but $25 each is unnecessarily expensive; read on. $57 for a six-pack. That’s about as cheap as they come. The $10 bulb provides light equivalent to that from a 40-watt incandescent. Cree’s 60-watt equivalent is $14 for “daylight” light, $13 for warmer light. The great thing about these bulbs is that they look almost exactly like incandescent bulbs. Cree says that its bulbs are extraordinarily efficient; its “60-watt” daylight bulb consumes only nine watts of juice (compared with 13 watts on the 3M, for example). As a result, this bulb runs cooler, so its heat sink can be much smaller and nicer looking. TORCHSTAR These color-changeable light bulbs (available on Amazon) range from $10 for a tracklight-style spotlight to $23 for a more omnidirectional bulb. Each comes with a flat, plastic remote control that can be used to dim the lights, turn them on and off, or change their color (the remote has 15 color buttons). You can also make them pulse, flash or strobe, which is totally annoying. get the point: LED bulbs can do more than just turn on and be white. PHILIPS HUE For $200, you get a box with three flat-top bulbs and a round plastic transmitter, which plugs into your network router. At that point, you can control both the brightness and colors of these lights using an iPhone or Android phone app, either in your home or from across the Internet, manually or on a schedule. Philips gets credit for doing something fresh with LED technology; the white color is pure and bright; and it’s a blast to show them off for visitors. Still, alas, the novelty wears off fairly quickly. INSTEON This kit ($130 for the transmitter, $30 for each 60-watt-equivalent bulb) is a lot like Philips’s, except that there’s no color-changing; you just use the phone app to control the white lights, individually or en masse. Impressively, each bulb consumes only 8 watts. You can expand the system up to 1,000 bulbs, if you’re insane. Unfortunately, the prerelease version I tested was a disaster. Setup was a headache. You had to sign up for an account. The instructions referred to buttons that didn’t exist. You had to “pair” each bulb with the transmitter individually. Once paired, the bulbs frequently fell off the network entirely. Bleah. GREENWAVE SOLUTION This control-your-LED-lights kit doesn’t change colors, but you get four bulbs, not three, in the $200 kit. You get both a network transmitter and a remote control that requires neither network nor smartphone. Up to 500 bulbs (a reasonable $20 each) can respond. Setting up remote control over the Internet is easy. The app is elegant and powerful. It has presets like Home, Away and Night, which turns off all lights in the house with one tap. You can also program your own schedules, light-bulb groups and dimming levels. Unfortunately, these are only “40-watt” bulbs. Worse, each has a weird cap on its dome; in other words, light comes out only in a band around the equator of each bulb. They’re not omnidirectional. The bottom line: Choose the Cree bulbs for their superior design and low price, Philips Hue to startle houseguests, or the GreenWave system for remote control of all the lights in your house. By setting new brightness-per-watt standards that the 135-year-old incandescent technology can’t meet, the federal government has already effectively banned incandescent bulbs. And good riddance to CFL bulbs, with those ridiculous curlicue tubes and dangerous chemicals inside. LED bulbs last decades, save electricity, don’t shatter, don’t burn you, save hundreds of dollars, and now offer plummeting prices and blossoming features. What’s not to like? You’d have to be a pretty dim bulb not to realize that LED light is the future. I do not sell any of the LED mentioned here, but you can see that there is trend starting. Be picky. Get the color temperature you want. Be sure to visit FoggLighting.com for some great lighting. What is Happening With Our LIght Bulbs? I have a friend you has bought cases and cases of 100 watt light bulbs, good old fashioned incandescent light bulbs. He refuses to use compact fluorescent light bulbs. He is an extreme example of customers who ask me everyday about what is happening to light bulbs. The recent Government regulations have caused a lot of confusion and led to misinformation being disseminated about the future of light bulbs. 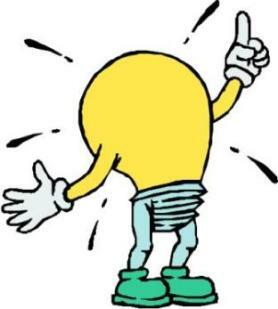 Congress legislated that certain light bulbs become 30% more efficient within certain time periods. The legislation refers to 100W, 75W, 60W and 40W incandescent light bulbs along with a few PAR’s and BAR’s. The new law was to be phased in over 4 years starting in 2012. The law never outlawed incandescent light bulbs or mandated the use of CFL’s. And that is where the confusion lays. A lot of advertising by Governmental Agencies has misled the public because those agencies want the public to use CFL’s. There is no doubt about it, CFL’s are three times more efficient that standard incandescent light bulbs. However you can buy incandescent light bulbs today that meet the new Government standard. They are called eco-halogen or some other name and they deliver comparable lumen output while using 30% less energy. The color is very similar to regular light bulbs. More about the new Governmental label requirements in a future post. Meanwhile please visit us at FoggLighting.com and be sure to like us and follow us!! Ceiling fans are a great way enhance the value of the home. They cool in summer and re-circulate warm air in the winter. Some estimates are that ceiling fans can save as much as 30% of the total energy cost of heating and cooling. Adding a light can make a ceiling fan into an ambient light source as well as a fan. I hear a lot of concern from customers worried about how a ceiling fan with light looks. Those concerns stem from the older less fashionable ceiling fans that have been around for years. The new fans that we sell are a lot better looking and higher quality than those of the recent past. 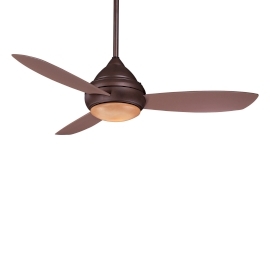 The fan pictured here is an example of an attractive, efficient, quiet ceiling fan. Some fans are reversible. Some of those are reversible by remote control or wall switch, and some are only reversible by climbing up to the fan an moving a switch from one position to another. If you want a reversible fan you should check how it reverses, especially if you have high ceilings! The argument for reversible fans is questioned by some critics. Supposedly the fan should push air down in the summer and recirculate air going by in the opposite direction in the winter. It is a point for debate, but the most widely held view is that reversibility is best. There is a lot more you should know about ceiling fans. I will address that in a future posting. In the meantime please visit FoggLighting.com and follow us on Twitter.